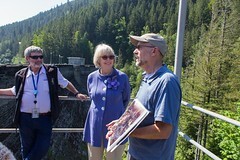 To promote understanding between us and other cities and regions, we councilmembers began reaching out to our counterparts on the other side of the Cascades, as well as to leaders in rural regions around us. Here’s a summary of my trip beyond the Cascade Curtain last summer. What happens elsewhere in our state affects us all. Taxes for transportation and education are raised here and shared on a 16:1 ratio with other areas in our state. Crops are grown there, eaten and exported here. We need each other. With that in mind, Seattle City Councilmembers often make treks across the state to Olympia. 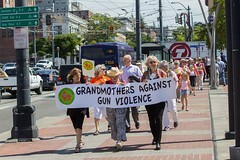 Not just to lobby but just to be present, demonstrate that we don’t have two heads, and that we are willing to listen. While emails and testimony are often necessary, nothing beats face-to-face conversations to build trust and nurture understanding. This past Monday, our Presidents’ Day holiday, five of us councilmembers vanned our way to Olympia together at 7 a.m. Our goal was to visit a significant number of legislators from both houses, and both parties. We split up and managed to talk with more than 25 legislators in about 7 hours. 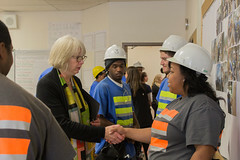 I had a few brief moments to visit some of our key legislators who represent Seattle (Sen. Hasagawa, Sen. Kohl-Welles, Sen. Nelson) and hugged a few in passing (Rep. Pedersen, Rep. Kagi, Sen. Frockt and more). I met with legislators from outside our city, including Sen. Litzow, Rep. Kretz, and Sen. Fain to hear their opinions as well about transportation funding and gun safety laws. Here’s what I appreciate about our treks to Olympia: we meet new legislators and discuss what we have in common. For me, spending time to truly understand each legislator’s perspective is critically important; even though we may see things differently, from an urban-rural perspective or Democrat/Republican point of view, all legislators with whom I met are trying hard to do good work for their constituents. With Rep. Kretz I talked about wolves; with Rep. DeBolt we discussed the need and his support for a local option for transit funding. Here’s an example where differences cropped up. I believe we need to fully and adequately fund our children’s education in all areas of this state. Our Supreme Court believes the same. Yet “basic education” and how much extra the districts are willing to pay fluctuates greatly from district to district. Personally, I believe the best use for our money is to put more money into teachers and class room support, and to provide flexibility for schools to use their money where they need it most. For example, in Seattle employers tell us they want more STEM-focused students. To accomplish that, we need energized teachers and part-time experts to teach smaller break-out classes and provide mentors for subjects such as remedial writing and math. Voters in our city have demonstrated their willingness to pay more for good education for every student in our city. We’re lucky to have such generous voters. 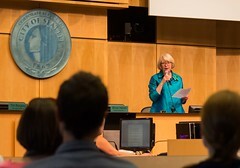 Many legislators commented on Seattle’s focus on educating every student above and beyond what the state can pay. Some indicated they were more than a little jealous. I am proud of our efforts and dedicated to making sure every one of our students has the opportunity to learn and gain the skills each needs. That’s just one important example. Every bit as critical this year is to develop a transportation package that will address our concerns locally (we need our roads repaired and we need more transit), as well as to address the concerns of legislators in rural districts (they’d like their roads repaired but they don’t want to raise taxes. Many are just fine with a local option where we tax ourselves). I doubt we can have it both ways: If we want education, transportation, clean water, safe streets and the good things government can accomplish, we have to coordinate statewide, streamline our government where appropriate, and wisely pay for what we need. Reaching agreement may be difficult, but it is possible if we approach the conversation having taken the time to develop individual relationships and trust. “Seattle for Washington” is one of the best things going.